The annual Wisconsin Junior Holstein Convention was hosted by the Dane County juniors in Wisconsin Dells, Wis., at Glacier Canyon Lodge, January 6-8, 2017. Over 500 Holstein members, chaperones, and volunteers were in attendance to help make the weekend a huge success. Throughout the convention junior members participated in numerous contests, including speaking, arts and crafts, photography, dairy jeopardy and dairy bowl. The largest competition of the weekend was dairy bowl, in which 37 junior, 24 senior, and 11 rookie teams competed. Over 50 volunteers helped coordinate dairy bowl matches, dairy jeopardy contests, and the speaking contest. As the dairy bowl contest came to a close, the Dodge County juniors took top honors in the junior division defeating Brown County, and the Shawano County seniors defeated a tough Manitowoc County team to earn the honor to represent Wisconsin at the National Holstein Convention in Washington. Dodge County's team included Kylie Nickels, Matthew Gunst, Grady Wendorf and Sam Pitterle. Shawano County's team was comprised of Mason Jauquet, Ben Schmidt, Carmen Haack, and McKenna Coffeen. Rounding out the top five for the junior division were Manitowoc County, Green County and Clark County girls. Finishing in third through fifth place in the senior division were Wood County, Rock County and Lafayette County. All juniors at convention had the chance to compete in the dairy jeopardy competition. The top competitor in each of three age brackets has the opportunity to compete at the national level. Qualifying this year was Clarissa Ulness of Manitowoc County in the junior division, McKenna Coffeen of Brown County in the intermediate division, and Jordan Siemers of Manitowoc County in the senior division. Placing second and third in the junior division were Grady Wendorf of Dodge County and Marissa Vosbers of Green County. In the intermediate division, Coltin Coffeen of Brown County took second, and Josh Gerbitz of Rock County was third. In the senior division, Paul Grulke of Dodge County and Allie Breunig of Dane County placed second and third, respectively. In the speaking contest, Wisconsin can send up to three delegates in each division to compete at National Convention. To compete, youth must prepare a speech on a topic related to the dairy industry at a length assigned to their specific age division. Heading to National Convention this year are Elizabeth Gunst of Dodge County, Jacob Harbaugh of Shawano County, and Madeline Hensel and Sara Dorshorst of Wood County with a third place tie in the junior division. Brianna Meyer of Manitowoc County, Mae Buttles of St. Croix County, and Lauren Siemers of Manitowoc County qualified in the intermediate division. Representing the senior division will be Courtney Moser of Vernon County, Kelsey Cramer of Green County and Hannah Ullom of Chippewa County. On Saturday evening, the annual banquet was held to honor outstanding juniors in the Association. Logan Voigts of Lafayette County and Kristen Broege of Rock County claimed the most prestigious honor, being named Outstanding Holstein Boy and Girl. These individuals have excelled in their Holstein programs and have been an asset to the Association and dairy industry as a whole. Also receiving honors were 17 other Distinguished Junior Members, 12 Young Distinguished Junior Member winners, and 12 Twelve & Under Recognition winners, all of which excelled in their Wisconsin Holstein activities in 2016. In addition to Logan and Kristen, 2016 Distinguished Junior Holstein Members included Rachel Coyne of Pierce County, Kelsey Cramer of Green County, Zachary Endres of Dane County, Kalista Hodorff of Fond du Lac County, Mason Jauquet of Shawano County, Matthew Kramer of Fond du Lac County, Carley Krull of Jefferson County, Katherine Larson of Vernon County, Rachel McCullough of Green County, Austin Nauman of Monroe County, Hannah Nelson of Pierce County, Megan Nelson of Trempeauleau County, Paige Nelson of Pierce County, Nicole Pralle of Clark County, Brooke Trustem of Rock County, Alli Walker of Columbia County, and Danielle Warmka of Dodge County. The Young Distinguished Junior Holstein Members included Nicole Broege of Rock County, Madison and McKenzie Calvert of Lafayette County, Coltin Coffeen of Brown County, Eliza Endres of Dane County, Matthew Gunst of Dodge County, Hannah Hockerman of Marquette County, Kaianne Hodorff of Fond du Lac County, Evan Jauquet of Shawano County, Ben Kronberg of Rock County, Kylie Nickels of Dodge County, and Samantha Pitterle of Dodge County. Finally, 12 & Under Member Recognition was awarded to Ashley and Colton Brandel of Jefferson County, Payton Calvert of Lafayette County, Abby Giddings of Marathon County, Cathryn and Christopher Gunst of Waushara County, Jacob and Logan Harbaugh of Shawano County, Kaydence Hodorff of Fond du Lac County, Brianna Meyer of Calumet County, Emily Stumpf of Fond du Lac County, and Kenadee Weigel of Grant County. Of the exceptional youth recognized, five representatives in the DJM and three in the YDJM categories were selected to submit award forms to the national level with hopes of being honored at the National Convention. Logan Voigts, Kristen Broege, Austin Nauman, Carley Krull and Brooke Trustem were all chosen to represent Wisconsin as DJMs. The YDJM delegates include Ben Kronberg, Matthew Gunst, and Hannah Hockerman. The 2017 Wisconsin Holstein Princess and Attendant were also crowned at the banquet on Saturday evening. This year, Courtney Moser of Vernon County will serve as the WHA Princess, and Kelsey Cramer of Green County will join her as the WHA Princess Attendant. Special recognition is given to youth leaders that have been nominated by youth in the Junior Holstein Association and selected by the Junior Activities Committee. This year's WHY (Wisconsin Holstein Youth) Friends were Joseta Halbur of Fond du Lac County in the five year and under division, and Bill and Kelle Calvert of Lafayette County in the six years and over division. Wisconsin Holstein awarded over $16,000 in scholarships this year, and an auction was held to raise funds for future awards. Donated items auctioned off included UW-Madison Men's Hockey tickets donated by Larry Nelson, UW-Madison Men's Basketball tickets donated by Corey Geiger and Krista Knigge, another pair of men's basketball tickets donated by the Rob Rippchen family, a stay at the "Doctor's House" by Daluge Travel, a session from Farmgirl Photography donated by Danae Bauer, an Andis clippers donated by Andis, a pair of Green Bay Packer 2017 tickets donated by Kevin Jorgensen, a pedal tractor donated by Farmers Implement of Mineral Point, and a set of Bonnie Mohr plates donated by Brian Herr. Funds from these items are put into the WHA scholarship fund, and over $3,900 was added this year. High school seniors, short course, and two and four-year college students that are members of WHA are all eligible for these scholarships. Throughout the convention, youth were recognized for other outstanding achievements, including Junior Progressive Breeder and Long Range Production animals producing 100,000 to over 200,000 pounds of milk over their lifetime. Those receiving Junior Progressive Breeder Awards include McKenna Coffeen of Brown County, Nathan Cordes of Barron County, Allissa Frisle of Barron County, Jacob Harbaugh of Shawano County, Sarah Henschel of Sheboygan County, Hannah and Holden Hockerman of Marquette County, Kayli, Kalista, Kaianne and Kaydence Hodorff of Fond du Lac County, Matthew Kramer of Fond du Lac County, Benjamin Kronberg of Rock County, Riley Miller of Rock County, Courtney Moser of Vernon County, Geneva Nunes of Chippewa County, Joseph Opsal of Dane County, David Petersheim of Vernon County, Jessica and Nicole Pralle of Clark County, and Brooke, Dane and Luke Trustem of Rock County. Long Range Production owners of cows include Jake Brokish of Iowa County, Jacob Harbaugh of Shawano County, Kayli, Kalista and Kaianne Hodorff of Fond du Lac County, Matthew Kramer of Fond du Lac County, Benjamin Kronberg of Rock County, Riley Miller of Rock County, Geneva Nunes of Chippewa County, Joseph Opsal of Dane County, David Petersheim of Vernon County, Jessica and Nicole Pralle of Clark County, Emily Steger of Crawford County, and Brooke, Dane and Luke Trustem of Rock County. The Wisconsin Junior Holstein Association awards interested juniors the opportunity to travel to an area of the state to tour farms and learn from their dairy operations. This Farm Tour award was given to 12 recipients including Maddie Zutz of Manitowoc County, Danielle Warmka of Dodge County, Geneva Nunes of Chippewa County, Allie Breunig of Dane County, Collin Wille of Barron County, Jared VanderWeele of Sheboygan County, Jake Siemers of Manitowoc County, Claire Olson of Door County, Alli Walker of Columbia County, Mitchell Schroepfer of Langlade County, and Kenni Bores of Wood County. The convention concluded Sunday morning with an awards breakfast and the annual business meeting, where four new Junior Activities Committee (JAC) members were elected. The JAC group is responsible for coordinating and overseeing all junior events within the Wisconsin Junior Holstein Association. Selected this year for the southwest district was Jessica Steger of Crawford County, Sam Minch of Wood County for the northwest district, Carley Krull of Jefferson County for the southeast, and Caleb Hamm of Waupaca County for the northeast district. These members will serve a two-year term as JAC's, and join second-year members Zach Tolzman of Iowa County, Nicole Pralle of Clark County, Joseph Opsal of Dane County, and Katie Bauer of Waupaca County. The contest room is always fun and a great way to show off projects done by junior members throughout the year. In the advertising contest, members submit advertisements they ran in the Wisconsin Holstein News or something they designed at home on their own. This year's winners in the junior division were Kaelyn, Kenadee and Dylan Weigel of Grant County, Jacob and Logan Harbaugh of Shawano County, and Ava Booth of Sheboygan County, with Weigel's taking people's choice honors. In the senior division, Kelsey Cramer of Green County, Brooke Trustem of Rock County, and McKenna Coffeen of Brown County were recognized. Taking people's choice honors in the senior division was Kelsey Cramer. In the photography contest's junior division of farm people photos, Gina Frisle of Barron County was first, Logan Turgasen of Richland County was second and people's choice winner, and Natalie Roe of Green County was third. In the senior division, Joseph Opsal of Dane County was first, McKenna Coffeen of Brown County was second and people's choice winner, and Joseph Opsal of Dane County was third. In photography's farm scenes category, Jared Abraham of Sheboygan County took first and people's choice, while Bekka Bast of Vernon County was second and Brandon Skomars of Marathon County was third in the junior division. Excelling in the senior division were Sam Minch of Wood County, and Courtney Moser of Vernon County with second and third, as well as people's choice honors. Wrapping up the photography contest was the farm animals category, where Gunnar Sperle of Jefferson County took first, Brooke Hammann of Barron County took second and people's choice honors, and Hannah Hensel of Wood County took third in the junior division. Joseph Opsal of Dane County took first and second place, and Courtney Moser of Vernon County took third in the senior division. People's choice in the senior division went to Hope Petersheim of Vernon County. The juniors got creative in the drawing and painting contest, and taking top honors in the junior division were Clarissa Ulness of Manitowoc County, Delaney Turgasen of Richland County and Macie Abraham of Sheboygan County, with Clarissa earning people's choice honors. In the senior division, Amanda Gehrke of Wood County was the winning entry and people's choice, and Jenna Broege of Rock County was second place. Also bringing out creativity were those in the crafts contest. Hannah Hensel of Wood County was first and people's choice winner, Matthew Gunst of Dodge County was second, and Morgan Cooper of Dane County was third the junior division. In the senior contest, Courtney Moser of Vernon County took first, and Kenni Bores of Wood County was second and people's choice winner. Each county is encouraged to submit a scrapbook of their activities throughout the year. These books are judged and awards are given to the top three counties. This year, the District 5 juniors earned top honors, and Wood County took second. Digital scrapbooks were also submitted, and the winner of that contest was Manitowoc County. The folding display contest was a huge success again this year. Individuals developed display boards to highlight activities or subjects within the dairy industry. First in the junior division was Cathryn Gunst of Waushara County, second was Macie Abraham of Sheboygan County County, and third was Christopher Gunst of Waushara County. Macie Abraham was named people's choice in this contest. First in the intermediate division was Jared Abraham of Sheboygan County, and second place and people's choice was Kenni Bores of Wood County. In the senior contest, Courtney Moser of Vernon County was the winning entry and people's choice winner. The annual essay contest encourages members to write about assigned topics relating to today's dairy industry. With another outstanding number of entries in this year's junior division, taking top honors was Cathryn Gunst of Waushara County. Second was Kaelyn Weigel of Grant County, and third place went to Madison Calvert of Lafayette County. In the senior division, Brooke Trustem of Rock County was first, Allison Bragger of Buffalo County was second and Sam Minch of Wood County took third place. One of the most coveted awards, based on participation throughout the year and enthusiasm, is the Spirit award, which was given to Dodge County. The Bell-R-Ring contest was won by Rock County. For teams to be seated in the dairy bowl contest, they must take a written exam on the first day of convention. Those individuals scoring highest are recognized with awards. High scores in the junior division this year went to Kenadee Weigel of Grant County, Sam Pitterle of Dodge County, and Christina Buttles of Grant County. Recognized for high scores in the senior division were Ben Schmidt of Shawano County, Jake Siemers of Manitowoc County, and Paul Grulke of Dodge County. The Wisconsin Holstein Association would like to commend the Dane County Junior Holstein Association members and chaperones, and extend a special thank you to all volunteers that helped make the weekend a success! The Association would also like to thank the following junior raffle sponsors: Synergy Dairy - Jay and Heather Jauquet and Gary and Linda Olson for the Registered Holstein heifer calf, WI State Farmer, UW-Platteville Dairy Club, Accelerated Genetics, Professional Dairy Producers of Wisconsin, Animart, ABS Global, Inc., Sexing Technologies, The Country Today, NASCO, East Central/Select Sires, Cattle Connection, UW-Madison Badger Dairy Club, International Protein Sires, Semex, Jetstream Genetics, UW-River Falls Dairy Club, Zoetis, World Dairy Expo, Agri-View, Hoard's Dairyman, Wisconsin Holstein Association, Wisconsin Holstein Publications, and additional baskets provided by the Junior Activities Committee and WHA Royalty. 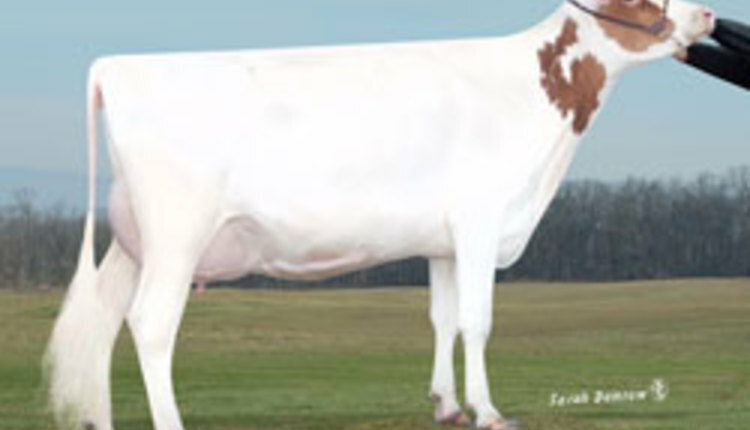 Wisconsin Holstein is a not-for-profit membership organization with the purpose of promoting the Wisconsin Registered Holstein Breed and its breeders and owners. For more information visit the WHA website at www.wisholsteins.com.